This game hits pretty close to home for the 4 Down staff, literally. 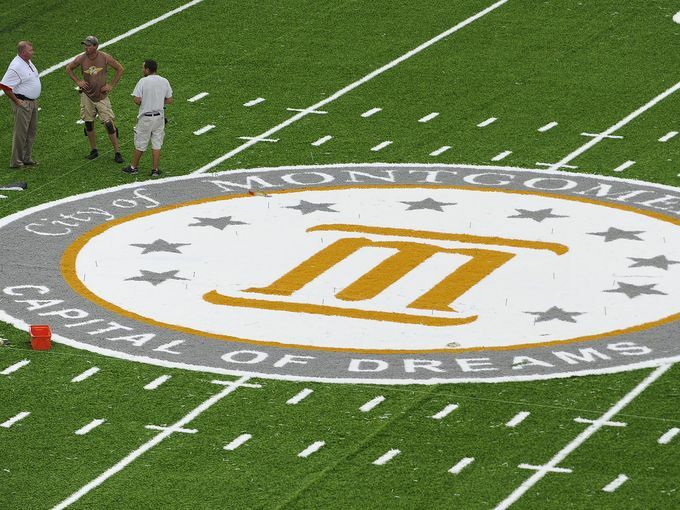 Growing up in Montgomery, the city didn’t have a bowl game, and that was always a dream that didn’t come true until last year. So I don’t even need ten reasons to watch it, but here are some for those who do. This ambitious title was adopted by Montgomery’s powers that be a few years ago. Is it an apt description? Probably not, but who cares it’s catchy. 4 Down was founded in Montgomery and hopefully one day it will be called the 4 Down Territory Camellia Bowl and life will be grand. We are supposed to dream right? This is the Mountaineers first bowl game in school history, and also happens to be their first season of being eligible for a bowl so congrats App State. Scott Satterfield’s team has had a great season, really a great two seasons but unfortunately they were still on the probationary period last season and thus ineligible for the postseason. This team finished second in the Sun Belt and are already sitting on a 10-win season. Oh, and they have also already sold out their ticket allotment for the game. 8. Scott Satterfield Auditioning for Bigger Things? 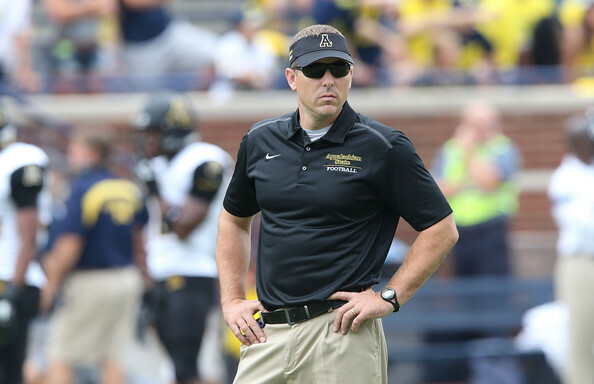 Scott Satterfield is an “App State guy”. He played quarterback there in the early ’90s, was a position coach from 1998-2008, and came back to be the offensive coordinator in 2012 before taking over the head job in 2013. Here’s the question though: which job is good enough to finally lure him away? No knock against the Mountaineers, they already have a fantastic Sun Belt program and have only been there for two seasons, but at some point in time if a Power Five athletic director comes calling he’d have to listen right? That’s unlikely to happen this season with Satterfield signing a five-year extension in October, but he is building a resume and so far it looks really good. A bowl win would be yet another notch on his belt. 7. Look for 4 Down’s Levi Dunagan! As most or all of you know, Levi is the other co-founder of 4 Down and he has been working hard all week volunteering at the Camellia Bowl. He will be in and around the festivities tomorrow so keep an eye out for him. Not quite as easy on the ears as dueling banjos, but still an exciting phenomenon will be the Bobcats’ quarterback rotation. Derrius Vick and J.D. Sprague will likely both see time at quarterback during the game. Vick has been the guy for most of the season, having played in every game except the last two. However, Sprague has come on strong in the last few and helped his team to upset MAC champion Northern Illinois in the season finale. He also has the better splits with 7 TD passes and only one interception, compared to Vick’s ten and six, respectively. Power runner Marcus Cox is not a guy who will be splitting much time tomorrow (or today depending on when you read this). Cox has been an animal in his last few seasons in Boone, and his efforts earned him a spot on the All-Sun Belt team this season, despite having slightly worse numbers than he did as a freshman last season. Cox has over 1,200 yards and eight rushing touchdowns, and as just a sophomore already has over 2,600 career rushing yards and 27 career rushing touchdowns. Look for him to carry a “heavy load” in Montgomery. Cox won’t be running through a scrub defense by any means though. Linebacker Quentin Poling and company will be pulling out all of the stops to hold the Appalachian State power running game in check and they have the ability to do it too. 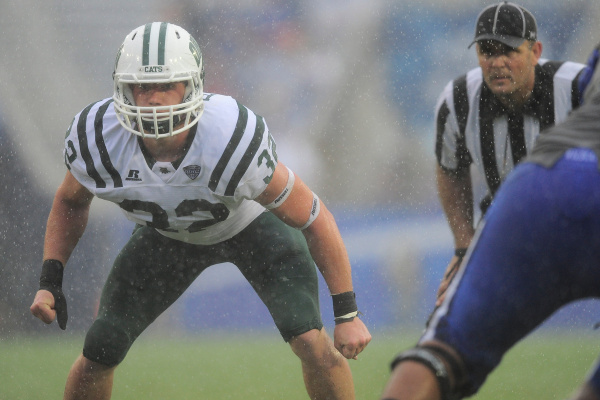 Poling has battled some injuries this year, and missed three games in the regular season, but still managed to rack up over fifty tackles, four sacks and three interceptions. Poling vs. Cox will be one of the more unheralded quality sophomore vs. sophomore matchups of this bowl season. I’m not just talking about the state of Alabama and its history, but you can be sure those will be plenty. The Bus Boycott, Cradle of the Confederacy, and Selma to Montgomery March will all likely be brought up at some point during the telecast; but, the one sure thing is that Alabama’s upcoming playoff game against Michigan State will be brought up about a hundred times. How do I know this? 1. This game is being played in Alabama 2. The famed Iron Bowl has been played in Montgomery before (another thing that will surely be referenced) and 3. ESPN is televising this game and the playoffs so it’s basically free reign to ram shameless plugs down your throat for three hours. Just be glad Gary and Verne aren’t calling anymore games. 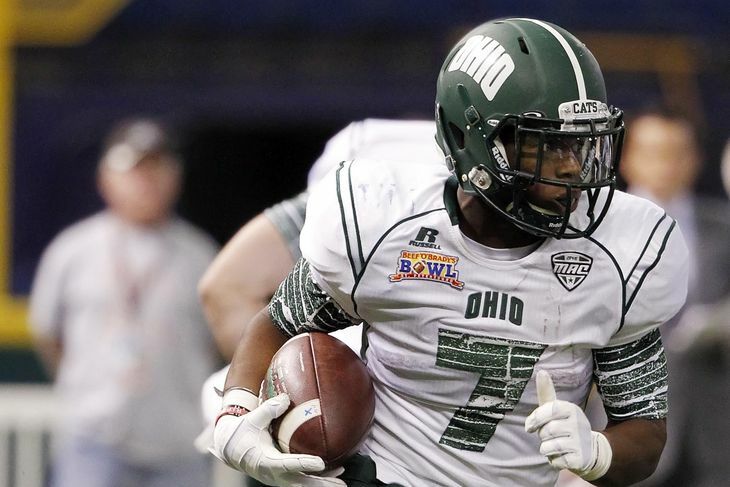 Confession time: I picked Ohio to go 4-8 coming into the season…that was a mistake. 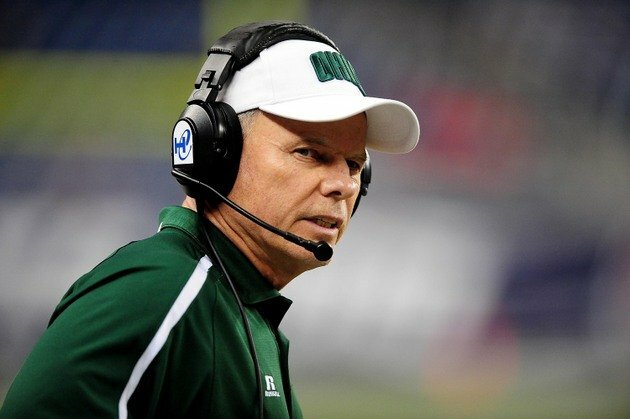 The Bobcats have put together a solid season under Frank Solich, and at times have looked really good. They beat Marshall, Northern Illinois and nearly upset Minnesota. However, they have also had stretches of mediocre and downright bad play. The three game stretch of losses to Western Michigan, Buffalo and Bowling Green by a combined score of 152-45 being easily the worst. Coincidentally, those were the three games Quentin Poling missed so hopefully we will see good Ohio this time around. The Mountaineers resume at first glance looks pretty pedestrian for a ten win team, and admittedly it does take some digging to find merits just looking at scores. That being said, Appalachian State performed at or near a top 25 to 30 level for most of the year, and one of their two losses was to the only undefeated team left in college football, Clemson. Yeah the fact that it was by 30 makes it look much less impressive, but remember this was an FCS team two years ago they aren’t supposed to compete with Clemson! Admittedly, App State did play their best ball earlier in the season, except the Clemson game, and the stretch run of loss to Arkansas State followed by wins over Idaho, UL Monroe and South Alabama (none of whom are going bowling) isn’t that impressive so maybe I’m overhyping them. I still don’t think so though and think they will bring a quality brand of football to the field Saturday afternoon.